The Leaning Tower of Pisa Almost Fell With Me In It! Of course I’m exaggerating, but the truth is that the Leaning Tower of Pisa is always in danger of falling and has been since construction began in 1173. 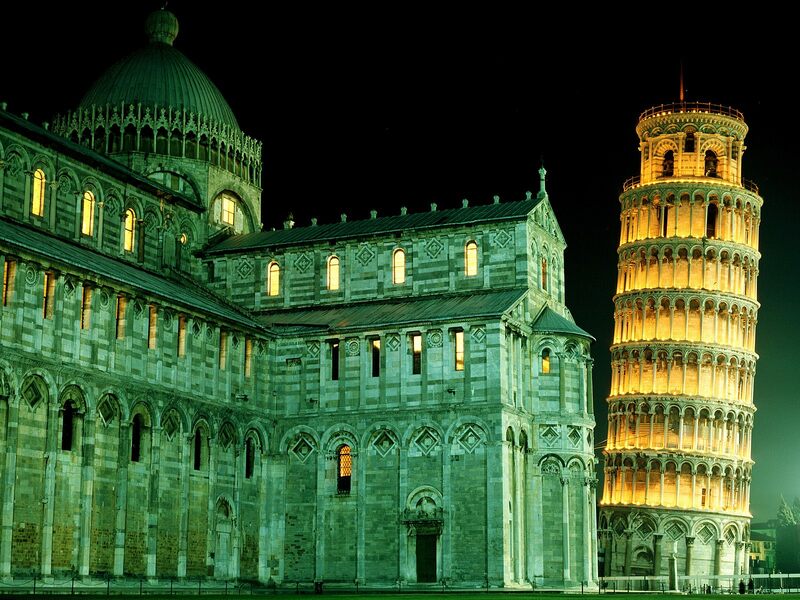 The most famous of poorly constructed buildings began tipping even before construction was complete between 1360 and 1370 and some really bright folks over the centuries decided to keep building on top of it anyway. Measures have been taken since the 20th century to slow down the inevitable, but an earthquake or a really strong wind might do the job at any moment. Well at least I can say I’ve been to the Tower–in the event that something should happen, I won’t feel like I missed out. Tennille and I visited the Tower of Pisa, or the Campanile, between trips to Florence and Cinque Terre. We made a reservation ahead of time (050-560547 or 050-3872210; www.opapisa.it) for 17 euros. While there we visited the Campo di Miracoli, Baptistery of St. John, the Camposanto and the Cathedral. Be sure to check the hours of operation for each of these because they vary depending on the month. I’m going to keep my thoughts on this place brief: You don’t need to spend more than a few hours here. It’s a tourist trap with street vendors lining the streets leading to the tower. The walk up to the top of the tower is tedious and a bit dizzying–going around and around in a tight spiral. The view from the top is not particularly spectacular. The actual Campo di Miracoli, including the Baptistery of St. John, Camposanto, and the Cathedral are beautiful. The best part of visiting is discovering unique and fun ways to picture yourself with the Leaning Tower. I’ve shared a few of the best ones I’ve found on the internet.